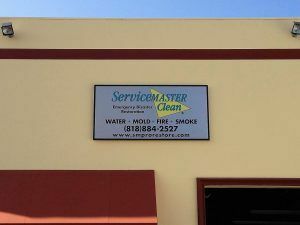 If you look at all of the business signs as you’re driving around, you’ll see that a majority of them have individual letters like channel letters or large rectangular displays like cabinet signs. 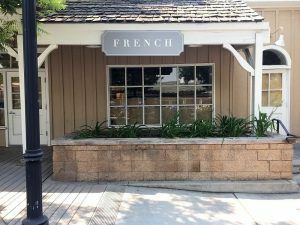 While these seem to be the most popular, there are many other options that may look better with your facade or with the rest of the businesses in the area. Some plazas have very specific sign criteria that even limit what colors you can use. In these cases, we need to follow the guidelines that are provided to us. But when you are able to make a sign that is completely customized to what you want, we can help provide you with many options. High-density urethane (HDU) foam is lightweight yet durable, and also very easy to work with. The foam can be carved into any shape you want and be painted any color. On top of carving a specific shape, you have embossed or engraved lettering or even a custom border. You can have the whole thing made from foam, or incorporate other materials. 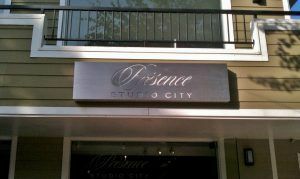 In the past, we have made HDU foam signs with acrylic dimensional letters attached to it. We can route out your logo or any lettering out of a solid panel and back it with a translucent material like acrylic and internally illuminate it. This is a more elegant version of an illuminated cabinet sign and also has more muted colors. If you don’t need it to illuminate, we can simply use a different color to back the letters we routed out of the first panel. If you’re not looking for something illuminated or dimensional but you still want to display a lot of information, a mounted digital print might be the best choice for you. We can digitally print any graphic, text, or color onto vinyl and apply it to a durable backer. The backer is then screwed into your exterior wall. You have plenty of space to display your logo, contact information, and even a brief description of what your business offers. We hope that our blogs that delve into detailed descriptions of different signs can help you decide what type of sign is the best for your business. If you’d like to check out some example photos of building signs we’ve made in the past, you can check out our online gallery here.